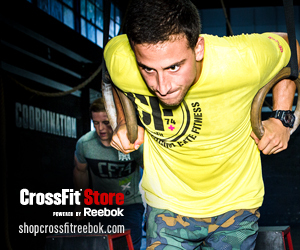 Try CrossFit with no obligation to join. Experience it for yourself with our FREE introductory class every Saturday at 11am. Email us to let us know you'll be coming in. TherOmega Sport is a high-quality omega-3 fish oil supplement designed to support joint health and mobility, muscle strength and recovery, a healthy immune system, and the body's natural anti-inflammatory response. Get 10% off your Lurong order with promo code "crossfit757."